Are You Giving Your Eyes Maximum Protection? Here at USANA, you could say we have an eagle eye for good health and we always want to share some eye-opening information. There are hundreds of sayings about our eyes: beauty is in the eye of the beholder, keeping one’s eye on the ball and without batting an eye. A cross-country flight is called a red-eye and having roving eyes can get you divorced. Yet, even with all of these idioms, it’s common for us to overlook proper eye care. When we think of good health, too often we just focus on the inside. For obvious reasons, we focus on our cardiovascular and digestive health, but we rarely discuss how to keep our eyes healthy. As we age, the world can take a toll on your eyes daily. Between air pollution, dryness and oxidative damage from the sun, your eyes can take a beating without you even knowing it. Common activities such as staring at a computer screen all day or not wearing proper UV protective glasses can put a strain on your eyes which may lead to deteriorating effects. The best way to understand how Visionex can support proper long-term eye health is to understand how our eyes work. As light passes through our cornea, pupil and then lens, it lands on the back of the eye on the retina. The retina then translates the light into electrical signals to be processed by the brain. In the center of the retina is the macula which contains a yellow pigment that absorbs excessive blue and ultraviolet light. Acting as built-in “sunglasses,” the macula’s yellow pigment protects the retina with the antioxidant carotenoids, lutein and zeaxanthin. Lutein and zeaxanthin are the same naturally occurring protectorates found in plants. Even though plants require sunlight for photosynthesis, they are shielded from excessive solar radiation by naturally produced lutein and zeaxanthin. In addition to being formulated with lutein and zeaxanthin, Visionex has bilberry extract, vitamin C and zinc to maintain healthy capillaries, provide additional antioxidant protection and promote visual acuity. 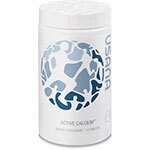 Remember at USANA, we always have an eye out for you. Give your eyes the nutritional protection they need to stay focused and fight off normal environmental factors with USANA Visionex. Labels: antioxidant carotenoids, better vision, bilberrry extract for the eyes, eye strain, lutein, Strengthen your eyes, vitamin C for the eyes, zeaxanthin, zinc for the eyes. 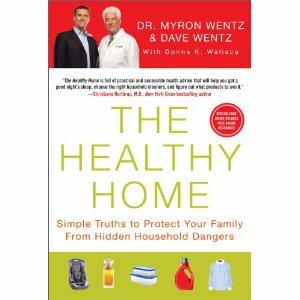 If you’ve read The Healthy Home—the New York Times bestseller written by USANA founder Dr. Myron Wentz and USANA CEO Dave Wentz—you realize that there are so many more toxins in our environment than we ever would have imagined: PTFE from non-stick cookware, BPA from plastics, parabens and chemicals in personal care products,VOC’s from what we use to paint our house or what we store in the garage, and chemicals from our cleaning supplies. And on top of that, the things we ingest can be laden with chemicals or non-beneficial contaminants—medications, alcohol, pesticides from our produce or trans fats and sugars in our favorite foods. The short story is, you are exposed to a lot of things that were not a part of our original, natural environment. And all of that stuff gets filtered through your liver. Your liver is a hard-working and highly effective filtration system (in addition to the many other functions it serves). Think of it as an amped up washing machine. Essentially, it keeps things clean by converting nutrients we consume into forms that can be used by the body and packaging up toxins and wastes into forms that can be eliminated. And because your liver could be exposed to way more toxins now than ever, giving it some extra support every day is a good idea. Alpha lipoic acid is an awesome nutrient. It’s a fat- and water-soluble antioxidant that also activates our Phase II detoxification systems (in addition to other activities). It’s also a tricky nutrient. When combined with N-acetyl L-cysteine in particular, another excellent nutrient for liver support, alpha lipoic acid just breaks down and disappears from a formula. They don’t play nice with each other. That’s why USANA scientists separated them in our Hepasil DTX tablet by using Nutritional Hybrid Technology, and that’s why it’s patent-pending. 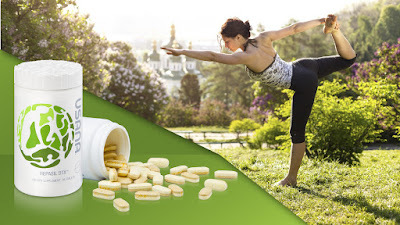 By delivering those two nutrients in distinctly separate layers of the tablet, you get all the potency of both because they are not reacting with each other and diminishing their effectiveness! This unique combination of ingredients has been clinically shown to increase the production of glutathione and overall antioxidant capacity (vitamin C in particular) in the body. Read the full poster here. This is important because glutathione supports many aspects of your health. In the liver specifically, it is important because it basically binds to toxin molecules and converts them into forms that can be eliminated from the body. 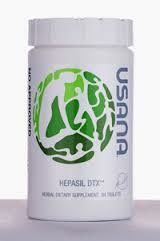 By taking three Hepasil DTX tablets a day for just 28 days, you can help increase these important nutrients in your own body to help ensure your liver is prepared to keep dealing with all the substances you encounter in your life every day. The review included 73 observational population studies that reported vitamin D serum levels and the cause of death among 849,412 men and women over a follow up period up to 29 years. Are you afraid of pushing through your comfort zones? Could you achieve more if you just had extra courage? I woke up one morning while on a company Caribbean cruise, and realized that I needed to climb the rock wall on the ship, many stories high (rather imposing to someone who hadn’t done that before). I wanted to prove to myself that I can do whatever I set my mind to do. This was a new adventure. In fact, the instructor was amazed at my stamina and how high I went as I pushed my way to the top(thanks to those extra hours in the gym to build up my muscles…and to my nutritional products for greater energy and strength!) The trek was much more difficult than I realized, so several times I contemplated quitting, but after reaching so far, it just seemed right to make the extra effort to finish the job. That’s often the case in business too. Goodbye to comfort zones! Extra courage is the missing link. What about you? Do you have comfort zones to push through? For some, it’s making phone calls for appointments. For others, it’s the fear of not knowing what to say, or speaking in front of a crowd. None of those fears are life-threatening. The way to get out of your comfort zone is to get training where you need to and then do the activity until it becomes comfortable. Here’s a tip for prospecting: Stand up and smile when making calls; the person will feel your happy spirit and respond more positively. Go through the Toastmasters Program to perfect your speaking skills. You’ll gain new friends and greater confidence in the process. Hire coaches in the various areas where you want to get stronger, and outsource what you really don’t want to do. If you have a bigger vision for your life than what you are presently experiencing, this message is for you. If you understand the power and importance of developing multiple streams of income, you’ll find major ideas to transform and enrich your life in amazing ways. Whatever your age or gender, whatever your challenges, whatever the opportunities placed in front of you, the answer to whether you can be more successful is “yes”. You can overcome obstacles, learn new skills, be more productive, help more people, and enjoy the thrill of accomplishing more than you ever dreamed possible. Yes, you can take the ceiling off your dreams, andyou can start today! You may be a successful business person or professional, a trades person, a store owner, a university student, a caregiver, an employee wanting to move ahead in a bigger way, a retiree, a young adult just starting your career, or a parent who would like to work from home in order to spend more time with your children. Success comes with being “on purpose” with a positive attitude and the belief that you are worthy and capable of achieving more, being more, having more and giving more. You can make excuses, or you can make a difference. So, no more excuses! You can choose to see the negative in a situation or you can choose to see an opportunity to learn and to benefit in some way. You can waste precious time, or you can sacrifice for greater rewards. It’s your choice. When an insurance agent introduced my husband and I to referral marketing and the direct sales industry in nutritional science, we were both suffering with health issues, which led us to exploring natural products to feel and look better. We especially appreciated the dedication to scientific research and development at the company we eventually chose. The business plan was revolutionary, so the decision to move forward in a dynamic way was absolute. Also, the luxury of having a successful home based business was mandatory. We were tired of working within the confines of set salaries, answering to bosses, patching up rusted cars, working long hours away from one another, and wishing we could do more for our daughters and others. Can you relate to some of these frustrations? How serious are you about making positive changes in your life? Are you ready to experience a whole new world of time and financial freedom where you can truly contribute to the lives of others? All of this can be accomplished in the small pockets of time sprinkled throughout your day. Eventually, you might even choose to work from home full time (or while traveling or at the beach). As we share some of what we have learned on this incredible journey, we hope the content will inspire and help you to adapt it for your own personality and circumstances to reach your goals. The learning never stops, which makes this adventure so wonderfully rewarding. Make a decision today to say “yes” to entrepreneurial opportunities, multiple streams of income and an exciting new way of life. You can do it! Olympians around the world have battled against depression, physical challenges, doubts and fears, coming out the victors no matter what their scores at the Olympics in Sochi. Some of them risk permanent injury – even death – to win medals and to win fans. They make it look easy, to spin and turn high in the air on the way down a mountain, or to simply jump on a bobsled and hurtle down the run. 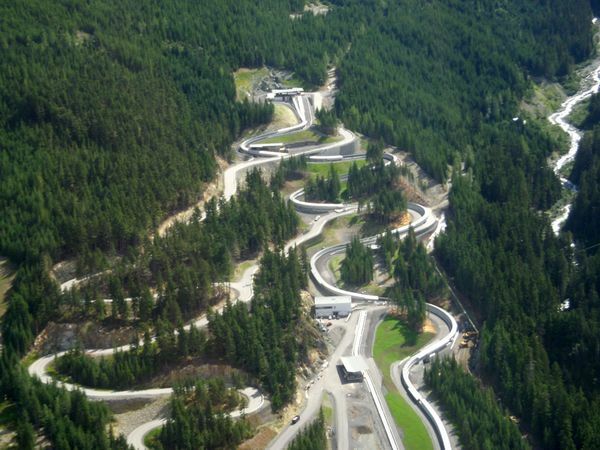 I had an opportunity to take the Olympic bobsled run when I attended a meeting in the Salt Lake City area. On the drive up the mountain, I started to second guess myself about the wisdom of taking such a risk. I had to sign a form saying I wouldn’t sue the organization should I break my neck, back or even be killed. 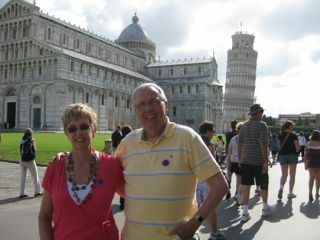 However, I had committed myself to do this with friends, John and Susanne Cunningham. I also felt more assured, knowing the driver would be an Olympian. So I put on the helmet, scrambled into the bobsled and held on for my very life during the 52 seconds it took to be thrown side to side, at five times the weight of gravity for what seemed an eternity before we came to a stop. I have a new respect for Olympic bobsledders. It may be fun to explain the experience now, but you can be sure I’ve struck such a ride off my bucket list! Sports psychologists are in constant demand for athletes who compete at the highest levels. The mind controls our bodies in amazing ways. When we allow doubts and fears to linger even for seconds, the cells, muscles and organs of our bodies respond accordingly. I find that amazing, so I check my thoughts and attitudes throughout the day, aware that a positive attitude and response to events, will help me to perform at my very best, whatever I am doing. Watching the Olympic events, you see the coaches speaking positively to the athletes just before they perform. Even the crowd’s response can energize athletes to believe in themselves enough to accomplish more than they might have otherwise. The question then, is how do we receive that kind of encouragement in our ordinary walk of life, whether at home, the office, while shopping, playing with the kids, or serving in the community? The Olympics provide an opportunity to check our mindset constantly and to cheer on people in our lives wherever we go. Just this past week, my Internet Coach, Mia Davies, shared her transformation as she experienced a new understanding of God’s love for her. That revelation in turn has given her a greater desire to share God’s love with others as well. Imagine what a difference that would make to athletes, knowing God loves them unconditionally. imagine what a difference that makes to me and to you as well, and then how we can spread the love wherever we go. I decided to follow Mia’s example yesterday, and it was actually delightful to see how my positive thinking and encouragement could have a wonderful impact on others. So, I challenge you to have a positive, God-filled, Olympian kind of day, and spread that on to whoever you meet in the coming days. I’d love to hear how you’ve been able to encourage someone else lately, or how someone made all the difference in your day. Vitamin supplement use after diagnosis of breast cancer is common, but less is known about potential long-term effects on recurrence and survival. A new article published in Breast Cancer Research and Treatment reports that vitamin and antioxidant supplementation after treatment for breast cancer is safe and may even improve survival. Researchers from Harvard University analyzed data from over 12,000 breast cancer survivors in the After Breast Cancer Pooling Project, a collection of 4 cohort studies of breast cancer survivors from the United States and China. The analysis examined the post diagnosis use of supplements (vitamins A, B, C, D, E and multivitamins) for 1-5 years. Sixty percent of the women reported using supplements during the 5 years after diagnosis. Breast cancer accounted for 65% of the total of 1,298 deaths that occurred during the follow-up period. After adjusting for interactions with smoking, treatment and hormonal status, the use of any antioxidant supplement, categorized in this study as vitamins C, E or a multivitamin, was associated with a 16% lower risk of dying from any cause over follow-up, and for those who used all three supplements, the risk was 21% lower. Vitamin C supplementation was associated with a 19% lower risk of death and a 10% reduction in the risk of breast cancer occurrence, and vitamin E use reduced all-cause mortality by 15% and the recurrence of breast cancer by 12%. Vitamin D supplementation was associated with a 36% reduction in recurrence among women with estrogen receptor-positive tumors (ER+), but not in women with estrogen receptor-negative (ER-) tumors. In this large group of breast cancer survivors, use of vitamin or antioxidant supplements was not associated with an increased risk of recurrence or death, but instead was associated withimproved survival. Consideration of ER status and the use of antioxidants may be clinically relevant when evaluating associations with cancer and mortality risk. Poole EM et al. Postdiagnosis supplement use and breast cancer prognosis in the After Breast Cancer Pooling Project. Breast Cancer Res Treat. 2013 May 10. “Healthies” on social media are becoming an epidemic. Taking photos of oneself enjoying physical exercise, running, jogging, cycling, swimming, marathons, gym programs, all constitute the new way to promote health and wellness. You’ll notice more photos of people taking ‘healthies” to show themselves on the spot, staying strong. 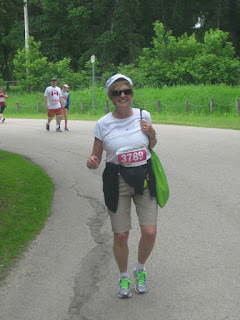 I had another runner take this shot of me participating in a 10K. Over 50% of people in the U.S. and Canada are seriously overweight or obese. And even though recent science is showing that hormone imbalance may cause people to favor carbs, lack of regular exercise also factors in. It’s more difficult to be energized to exercise when you feel heavy and sluggish. No doubt you are less likely to take a “healthie” of yourself flopped on a sofa, splurging on a banana split. The other challenge is choice of food and drink. Fast foods, bad fats, too much sugar, shouldn’t be featured in a Facebook “healthie” shot! Stick to salads, fruit, grains and gluten-free photos. It’s not a bad idea to include “healthies” of you with a great nutritional drink, or high-science supplements. This gets your audience thinking about the importance of adding value and filling in the gaps in their diets. In fact, if you are wondering how your health stacks up, take this free Health Assessment and check in with me with your questions. Are you ready to take healthier photos of yourself in the future? Time to cruise or share special time with friends…..love this life! Remember that parcel of land you could have purchased 20 years ago, but you figured you couldn’t afford it, and then it tripled in price within three years? That happened to us and we’ve regretted it ever since, especially since the land is probably worth 10 or 20 times the amount today. We weren’t entrepreneurs back then and our vision for the future was limited. We remember reading a book by David Wilkerson that said to buy gold, which was worth $35 an ounce at the time, and he also said to store valuable jewelry, coins and silverware in your safety deposit box for the day when you may need to use it to barter. You already guessed that we didn’t do that entirely, although we do have a few items stashed away at the bank. We would be multi-­millionaires today if we had taken out a second mortgage on our home to buy $50,000 worth of gold coins back then. 1. So you already know from these examples that it pays to be savvy about what is happening in the marketplace and to take action quickly. Tune into trusted, well researched resources for advice, but also watch what’s happening around the world to make your own decisions. Successful entrepreneurs know a good deal when they see it and they find a way to work it to their advantage. Is there an opportunity sitting in front of you right now, where you could say “yes”? 2. Once you are your own boss, whether part time or full time, is the day you begin your journey to financial freedom. Every dollar you earn is your own dollar to keep, invest, spend or give away. Being your own boss includes leasing those items you can write off at tax time and buying the things that increase in value. Let your money work for you. Your money can disappear quickly in technical stores, with all the new gadgets, smart phones, 3D televisions etc. Being your own boss also allows you to decide when to work out at the gym, go for a job or to cycle without permission. You have extra income to buy organic foods, optimal nutritional supplements, yoga classes and so on. You have time to make the health of yourself and your family a priority. Are there changes you could make to multiply your income or to protect it? 3. With a job, you have a structured income, perhaps including some perks like bonus plans or profit sharing. When we stepped into entrepreneurship through the direct sales industry, we discovered the power of creating multiple streams of income, which is leveraged and residual, all without a ceiling on how much a person or business can earn. Do you have sources of residual income? Songwriters, authors, insurance agents, hair salons, direct sellers, have residual income or repeat customers. Think about talents you have that could be turned into recurring income. In the referral industry, everyone has an equal opportunity to create residual income. 4. Those who declare that they don’t like to sell, will be left behind, because everything in life is about selling, often disguised as something else. When we refer people to a good restaurant, that’s a form of selling. When we express our excitement about a particular product, that’s sales promotion. We’ve noticed that when we pay attention to what is important to another person, then we can find where our product or opportunity would be of interest and add value to their lives. The more we relax in the conversation and put them at ease, the more open they are to what we have to offer. 5. Develop positive relationships and leave customers feeling good about their decisions. When I was the editor of a business journal, I noticed how the publisher immediately found common interests with a customer and established a good relationship in his conversations. When they chose to advertise in the magazine, they made the decision happily, because the publisher had created a positive, feel good atmosphere. What are ways you could make your customers feel good about committing to your products, services or business opportunity? Why do we assume that our bones are healthy and strong? I’ve thought that for years. I’ve never had a fracture or anything that signals that my bones are losing their density, or becoming more porous. That’s because it doesn’t actually hurt when your bones get weaker. It’s a “Silent” disease. I had a wake-up call over the past few years when I took a bone density test and realized I was on the very low side. How could that be? I exercised regularly under the supervision of a personal trainer, so weight training was a major part of the session. I also drank milk, and ate salads regularly and I even ate broccoli fairly regularly. However, when I looked at this chart, I realized that I needed to do more research and be more diligent with my food choices. I never, ever ate Bok Choy, mustard greens, or very seldom flax and sesame seeds. Spinach was included in a salad every couple of weeks and I enjoyed a handful of almonds once or twice a week. Collards and Kale are other great sources not on my list. Hmmmmm. 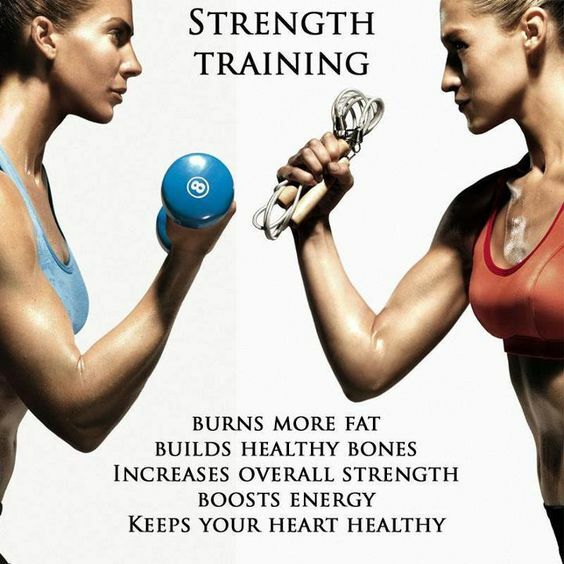 How serious was I really, about building strong bones? How serious are you? Why is Calcium such a big deal? 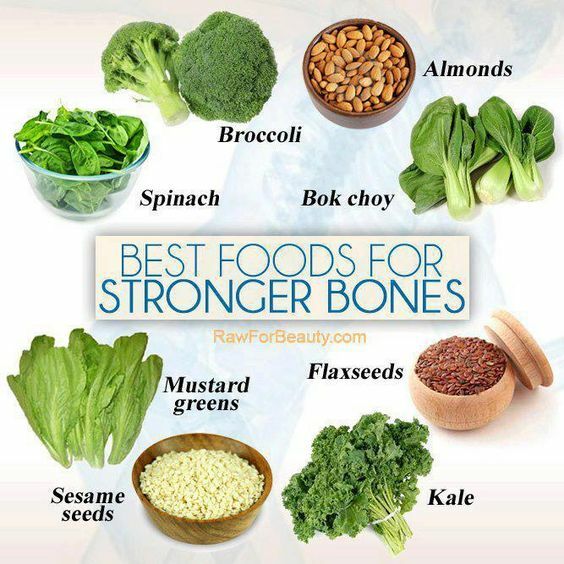 In addition to maintaining healthy bones, your body uses calcium for blood clotting, nerve conduction, cell division and other functions like producing and activating enzymes and hormones that regulate digestion, energy and fat metabolism. Wow. in fact if your body isn’t getting enough calcium in your diet, it will pull the calcium from your bones. There’s a thief in the house! People generally think that calcium is the main ingredient for healthy bones so they drink milk, which can also be high in saturated fat. But leafy green vegetables are also packed with calcium and other important nutrients. Then certain kinds of fish are good sources for calcium, like canned sardines and salmon. Various breakfast cereals and juices are also fortified with calcium. So if Kale and Collards aren’t your favorite dietary sources, be sure to fortify with these products from USANA Health Sciences: USANA’s Active Calcium or Active Calcium Chewable. I love these products because I know that what I am eating every day can’t possibly be giving me all the calcium and other nutrients I need for healthy bones. In fact, this formulation also packs in plenty of vitamin D, which promotes calcium absorption in the small intestine and calcium utilization in bone formation. Vitamin D also influences the utilization of phosphorus, another mineral that is important for strong bones. Magnesium is included because it plays an important part in neuromuscular contractions, and in the metabolism of carbohydrates and amino acids. It is also helpful in neutralizing free radicals, and the development and maintenance of bones and teeth. Who knew all of this? I didn’t. Silicon is essential for proper calcium utilization and it is key for the calcium mineralization of the bone matrix. The calcium and magnesium compounds in Active Calcium Chewable neutralize stomach acids, thereby eliminating heartburn, while also supplying balanced amounts of the nutrients needed to support strong, healthy bones. i love to take two chewable calciums at bedtime to help me relax and have a better sleep.